Apparently in the very early stages of testing, Twitter is working to bring an automatic Night Mode to the official Android application. Available only to a select number of alpha testers, the app’s UI will automatically change to a darker appearance, which should be easier on the eyes at night time. As it is right now, the standard white UI is the only option available to users of the Twitter app. Once available for all, the UI should consist primarily of a dark blue background with white text. 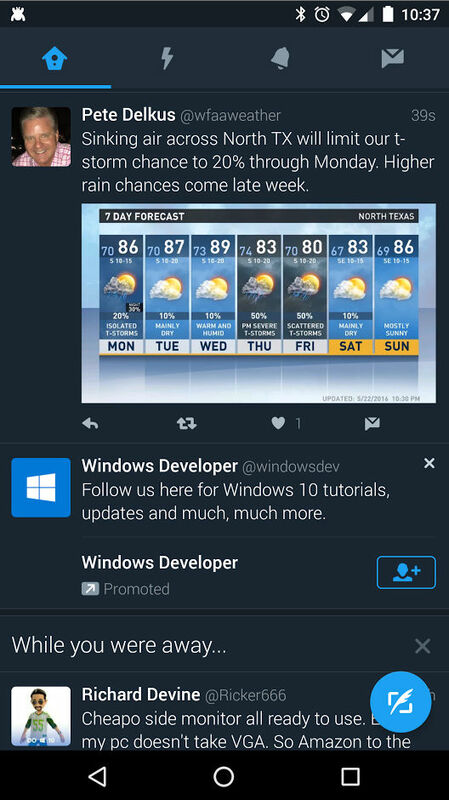 Not only is Twitter testing a Night Mode, but different button placements, too. 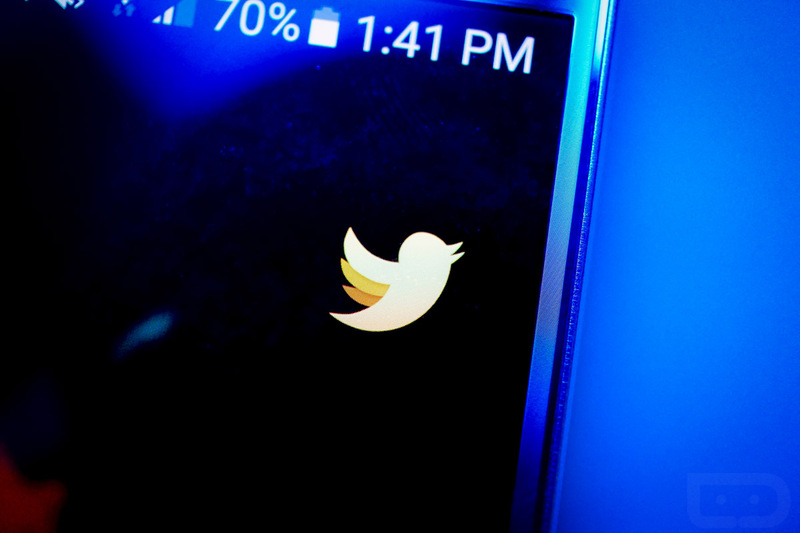 According to testers and reported by 9to5 Google, Twitter is also experimenting with hamburger slide-out menus, overflow buttons, as well as floating action buttons (FAB) for the composing of new tweets. As previously mentioned, this testing is happening among a small group of people. Anyone hoping to take part will need the alpha version of Twitter. Sign-ups for that are available here, however, acceptance rate is very low. Beta sign-ups are also available here, with acceptance rate sitting at 100%. Night Mode all the things.